BUG-1814 – “No object updates from vehicles after some region crossings” – yes, the vehicle region crossing bug fix reaches the Main channel (and should be on BlueSteel and LeTigre following the RC deployments on Wednesday 3rd April). As always, there are release notes for the deployment. There are also reports of increased issues with prims / parts of linksets failing to rez until right-clicked upon – although there is some speculation that this might be worse for some TPVs as they may not have recent code updates from the Lab. Prims failing to rez until right-clicked: issue more prevalent? Magnum should receive Monty Linden’s new server-side HTTP updates (see below) – release notes. 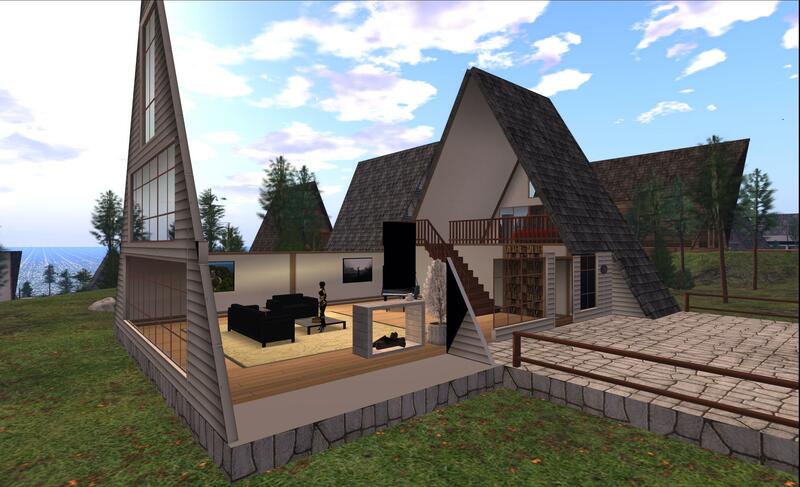 The Mesh Deformer project viewer was finally updated on Tuesday March 2nd with the release of version 3.5.1.273384. There are no changes to the deformer with the release – which does see the deformer code now merged with the CHUI codebase. The behavioral change for HTTP connections marks the beginning of support for persistent (keepalive) connections. Services transiting the capabilities router, at ports 12043 and 12046, may honour a request for keepalives and keep a connection open after request completion. These services may include such activities as texture and mesh fetching, event delivery to viewer, HTTP-In for LSL scripts, asset uploads and inventory operations. Benefits from keepalives include immediate and future throughput increases and less TCP connection churn (which often disrupts consumer-grade networking equipment). The exact set of services that will see this is expected to change over time. In other words, connectivity between the viewer and the server should be somewhat more robust and, in the case of older router models, less taxing. I missed the Monday Content Creation meeting on April 1st due to family commitments. However, I understand from information received that the question of avatar height offsets. The solution, as currently offered by LL, is considered to be less than optimal for all situations. In replying to the question, Nyx Linden apparently indicated that the Lab do not consider the matter fix in light of further examples having been given, and that further work in correcting matters is in-hand. Whether these further fixes address all concerns remains to be seen. Griefing was once again a subject of discussion at the Simulator User Group meeting on the 2nd April. As with the last time the recent increase in mainland griefing was raised, LL are not willing to discuss specifics in terms of what they’re aiming to do. However, Simon Linden did provide more general feedback in response to questions. Nothing new to report about griefing tools … but it is on our radar and definitely a concern … When looking at griefing problems the most serious issues and the ones that get the fastest attention is anything that can crash a region or viewer. After that there’s a broad spectrum mostly based on the level of pain and if there are things that can or can’t be done about it already. The fight has been going on since long before I joined the Lab. The Lindens that come here like Andrew, Kelly and myself are server developers, so we focus on features there that can help. Dealing with accounts is outside our area and the Governance people handle that … We do regularly meet and discuss what’s going on … everyone is aware of the recent increase in griefing … It’s gotten a lot worse recently. Not due to technical failures and it becoming easier, but from more griefers. Simon also indicated that the bug which allowed objects to get stuck in limbo at the edge of a region, where they could be exploited by griefers, now has a fix in the BlueSteel and LeTigre RC channels, and that measures to help combat particle spamming are “in the pipeline”, with the hope that a project viewer will be featuring these will be available soon. Turning off public script operation over explicit banned/no access parcels, making the return time for public rezzed objects over explicit banned/no access parcels 1 minute. Again, none of this should be taken as an indication that any of the above will be explicitly developed by LL; rather they are likely to be added to the melting-pot at the Lab and help LL better understand where user concerns lay and what directions they should consider for further technical responses to griefing issues. The physics shape type for mesh objects gets changed from Prim to Convex and doesn’t change back until the object is right-clicked. This only happens for linksets that contain a prim with a target omega property. Things that can trigger the change: movement changes and rezzing the object. There also seem to be other factors as it can happen for static objects too. The issue has been reported in BUG-2147, and differs from the problem wherein some objects / parts of builds (such as floors, walls, etc.) fail to rez until clicked upon (but can be walked on, etc. ), in that the mesh object can be seen and can collided with – but the physics shape is incorrect. There are reports that analysing the physics model in the mesh uploader can be used by content creators to mitigate the issue. However, this issue is now on the Lab’s radar in terms of further investigation. On Tuesday March 26th, the SLS (Main) channel received the maintenance package previously deployed to BlueSteel and LeTigre in week 12, which includes a fix for a crash mode – release notes. Some issues have been reported on following the Main channel deployment. Regions have been slow to come back up, and several which have had issues with groups and display names failing to show, teleport errors, etc. However, at the current moment in time, these issues do not appear to be widespread. Magnum: should receive the same update as the Main channel (i.e. the package deployed in week 12 to BlueSteeel and LeTigre), otherwise retaining the updates and fixes deployed to it in week 12 – release notes. As usual, there is a forum discussion thread for comments / feedback on the deployments. That the region crossing fix for BUG-1814 is not been deployed to the rest of the grid in week 13 is liable to cause some consternation. 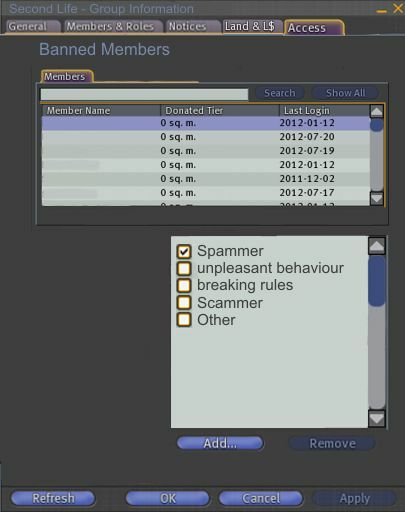 As recently reported, Baker Linden has started working on an update to the code for managing groups which will allow group owners / moderators to ban users who create problems (e.g. those who spam groups, people who are persistently abusive in group chat, etc.). Baker is not planning on adding any on the ban capabilities for group to the existing ban capabilities for regions / parcels, nor will any of the new group ban capabilities be shared with region / parcel ban capabilities, due to the complexities involved. A fix for the disallowing of leading spaces on display names. These fixes will also likely roll-out the same time as the first phase of the group ban list function, once Baker is able to start coding and testing the latter. On Friday March 22nd, Monty reported that the Aditi testing had been subject to a couple of non-related hiccups (due to inventory issues), but otherwise the regions were stable and whole one significant bug within the code had been found – severe enough to take down some Apache web servers when HTTP-In was being tested, and which has now hopefully been fixed. Load testing on Aditi has been a little light, but obviously, more practical load testing will occur when the capabilities reach a Release Candidate channel and things start to get fine-tuned. The subject of Mainland griefing was discussed at the Simulator User Group meeting on the 26th March. There has been a noticeable rise in object griefing and spamming recently, particularly by the so-called “goonsquad”. Several options for better means of combating the problem were raised, including JIRA SCR-19 (“Script function to return objects”) for the return of griefer objects where users do not have access to estate / region tools for return objects, and possible throttling of llDialog (SVC-8080) to try to overcome the use of dialogue spamming prims. The Lab will obviously not be drawn into discussions on their own plans for combating griefing, but Andrew Linden took a series of notes on problems which are being encountered, while Simon indicated that the Lab is looking at some options which may help with issues. 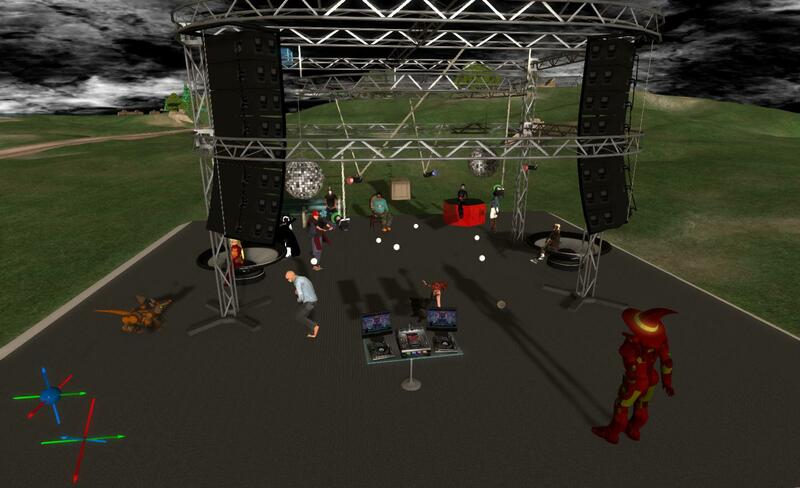 It’s a fact of life that griefing is part of the subculture of Second Life. It’s not necessarily an agreeable subculture or one we particularly want or need, but it is there all the same. I say this not to excuse what goes on, but to underline the fact that right or wrong, most of us in hearing about it tend to shrug our shoulders and then carry on with our lives. There are times, however, when griefing – which is actually crossing the line each and every time it occurs – crosses a the line not only in terms of resigned acceptance, but also in terms of criminal behaviour. The fashion world in SL has recently been subject to this latter situation. This saw an SL user already complicit in copying skins and shapes, and whose profile boasted they had scant regard for the ToS together with outright threats against content creators, start to use griefing as an attempt to extort money from others. They did so by crashing large fashion events and then demanding payment in order to not crash future events. Much of what happened in this matter appeared to go unreported outside of fashion circles – few blog (this one included) reported on the matter, despite the problems apparently occurring over a span of months. The Lab also appeared unwilling to engage in the matter, despite extortion being a criminal act. In the end, many of those affected by the situation saw no other choice than to themselves disrupt in-world user group meetings in order to try to voice their concerns and frustrations directly (if unfortunately inappropriately) to the few remaining Lab employees users can actually contact nowadays. 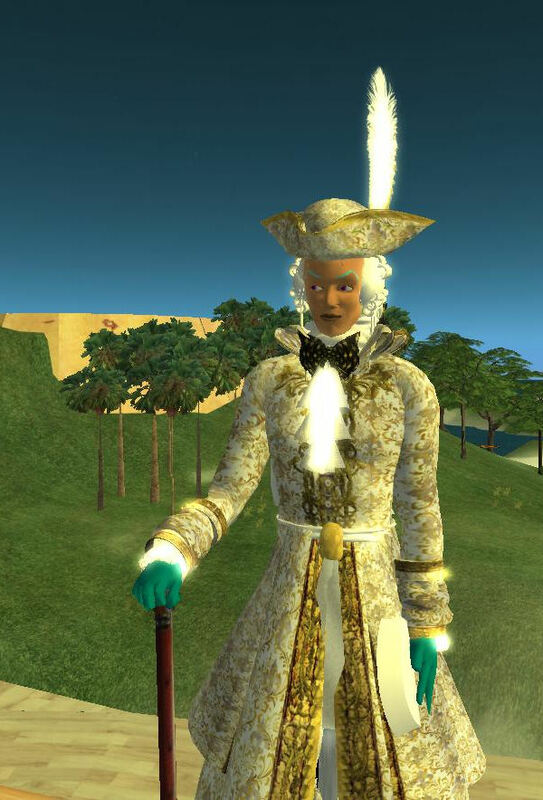 In the end, the approach did appear to work, inasmuch as the account of the individual concerned was banned from Second Life and all content relating to it (apparently ripped from other merchants) was removed from the Marketplace. Of course, in an age and situation where alt accounts are freely available, the removal of a single account is no guarantee the individual responsible has actually been removed from SL – or more particularly that their modus operandi will not be repeated elsewhere by others. Such was the frequency of the attacks that patrons began staying away from the venue. However this was not an “innocent” (if such a term can be used with any form of griefing) attack. Junkyard Blues were contacted and informed that if they handed over cash, the attacks would stop. This is again extortion, plain and simple. As a result of both the threats and the attacks, Junkyard Blues has been forced to resort to restricting access to their club to “members only”, which impacts both their business and their customers. During August / September a griefing object in the form of a “freebie gift” started circulating in-world. Called ”..::ExDepart::.. Gift Package 2012”, it is essentially a spoofing/griefing item which, when rezzed will create more items citing you as the owner, and attempt to pass them out. Since it first appeared, the item has appeared in a number of variants, of which “-[L4L]- Gestures & Walkers (Freebies) <3” is one. If you receive either item – do not rez it. Instead, file an abuse report, citing Governor Linden as the abuser, list any pertinent information on the object – and remember the person you received it from most likely did not create it, then delete it. Similarly, if you receive any other item with a similar format of name, or which gives rise to suspicions on your part – particularly if the receipt of the item is unexpected – contact the person who sent it to you first and verify with them that they have legitimately sent you something before attempting to rez the item. Check the incoming dialogue pop-ups associated with the incoming items. These should provide the co-ordinates where the item is located. Alternatively, decline the object’s offer, and the co-ordinates should be recorded in local chat. Go to Edit and drag a selection box around the object to select it. Press Delete to remove the object. Note there may be more than one copy of the object nearby, so you may have to repeat the steps above to remove all of them. Miro Collas, of the Phoenix / Firestorm team has put together detailed advice on the object and removing it on the Firestorm wiki, from which the instructions in this post have been drawn. With thanks to Miro Collas and Whirly Fizzle. Oskar Linden has provided an update / post-mortem on the recent bout of griefing that took place across the grid as a result of person or persons unknown abusing the advanced user experience code that was released onto the Magnum Release Channel two weeks ago. The problem hit on Monday 4th June when the advanced teleport functions released to Magnum were used to teleport individuals or groups around the grid, with some people reporting they were teleported to the likes of The Cornfield, while others found themselves unexpectedly picked up and dropped into stores or meetings. Linden Lab reacted rapidly to the issue, determining a fix for the exploit on the afternoon of the 4th (SLT) and deployed across the entire grid in a rolling restart that affected the main channel and all release channels. LL are at this point in time unclear as to when the tools are likely to be rolled back out onto a Release Channel; the slot assigned to the tools on the Magnum RC has now been taken by other security issues in preparation for their roll-out to the grid. One immediate outcome of the griefing situation is that the teleport capability has been revised so that when someone is teleported, the function will tell them the name of the owner of the object that teleported them (thus allowing any potential abuser of the system to be reported to LL via an Abuse Report). With thanks to Nalates Urriah.